The OLM series on-line monitors are designed to continuously measure the quantity of radioactive gamma activity in a liquid or gaseous stream. The system is attached to the exterior of the process pipe and has no intrusion in the pipe and therefore no impact on the pipe flow. This setup is functional for pipe sizes between 25 to 178 mm (1 to 7 in.) in diameter. For larger pipes, CANBERRA offers floor or plinth mounted configurations which fit horizontal or vertical process pipes. 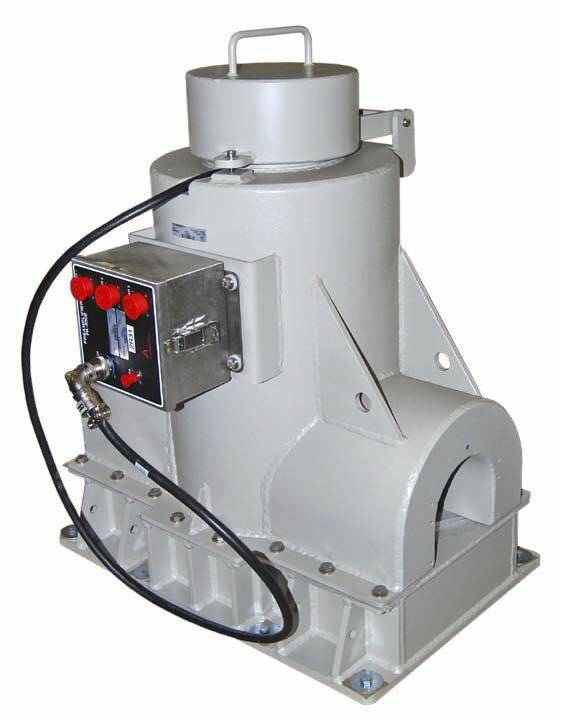 The on-line sampler is designed to fit the pipe curvature and mounts directly on the pipe. 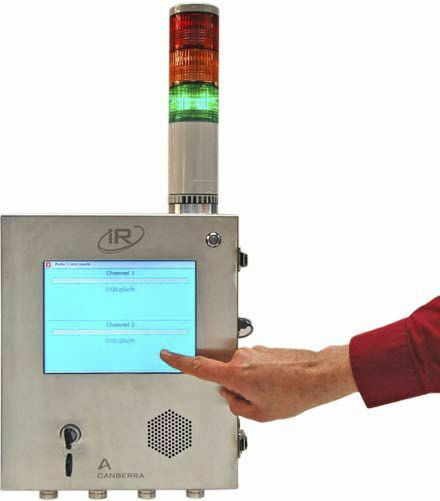 It includes a MD Series scintillation detector and a isotopic check source assembly for routine operability checks. The output from the detector is amplified by the PA300E preamplifier and sent to the wall mounted iR7040 intelligent ratemeter. The iR7040 provides complete local display and control of the monitoring channel, as well as local indication of alarm trips and system malfunctions. Optional remote ratemeters or alarm annunciators can be connected to the local unit.